The birds will be building, the vegetation will be gathering itself to burst into new growth. We will be there in the middle of it all, tidying and clearing, preparing for our own season of events. Join us for all or part of the session, bring a packed lunch and sturdy boots. Work Gloves provided. After a long hiatus this site will soon burst into a new, more sustained, existence. The music makes me think of old westerns, with a travelling preacher holding a service in a tent for ranchers and their families. I have never counted the gravestones in the cemetery. We have a thousand and more on record and many we have not yet cleared and transcribed. This must represent a remarkable amount of work by the various monumental masons who carved them. In some cases this work must have been a labour of love – those occasions where a mason fashions a memorial for his own family grave. Most poignant of all are those graves where the mason who first created and positioned the memorial, then finds a resting place below the same stone. I cannot help wondering who carved his name, and what would he think of the workmanship? I know of two such graves in our cemetery. 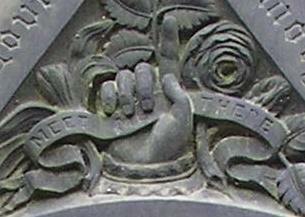 In one case I believe the mason has re-used another gravestone, removing the original inscription and adding another. Is it possible it was in mind that he was saving money by re-using material which no longer had a commercial value. 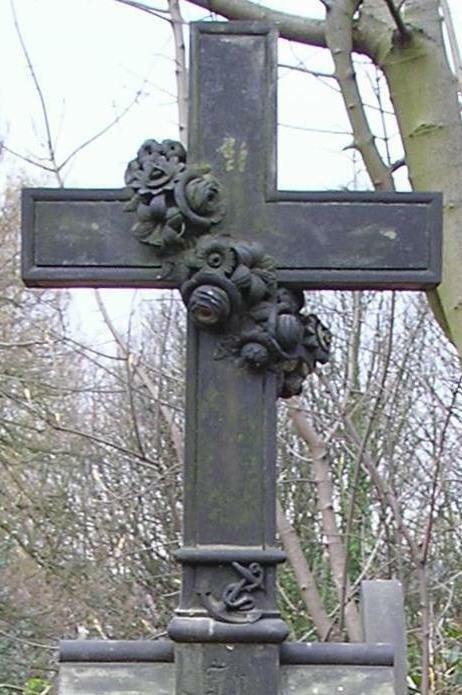 The other gravestone is on the grave of John Holden (see images above). I cannot find any other gravestones in the cemetery ‘signed’ by John Holden. Census records describe him as an ‘architectural sculptor’. This may account for the fact that this memorial is in a style which differs from all the others in the cemetery. I think this is a grieving father (the first burial is of his young son) expressing himself through a style that he may have used to decorate buildings rather than gravestones. I recently found a newspaper article which I think refers to this man. If I’m right, this shows that at least part of his business involved the decoration with stone carvings of churches. In 1895 a fire destroyed most of the Parish Church of St Bartholomew in Old Whittington, near Chesterfield. The church was re-built and re-dedicated in the following year, with, it seems, new carvings sculpted by ‘John Holden of Sheffield’. A newspaper report lists these new works. As well as sculpted portraits the list also includes carvings of flowers and vegetation. It will be interesting, and something I hope to do later this year, to compare these carvings with the floral wreath carved on the family gravestone in our cemetery. From these artistic considerations I return to the personal events reflected by the words and images created on the gravestone. The picture of the base shows together three aspects of his life and death: his art in the form of stylized flowers, his professional pride in the form of his ‘signature,’ and his name carved by an unknown hand following his death after a long life. In this blog we aim to write about the day-to-day issues of conservation, historical research, and natural history relating to this beautiful, semi-wild cemetery on the slopes of the Rivelin Valley in Sheffield (England). We will also give notice of future events in the cemetery, and other relevant events in the Sheffield area.